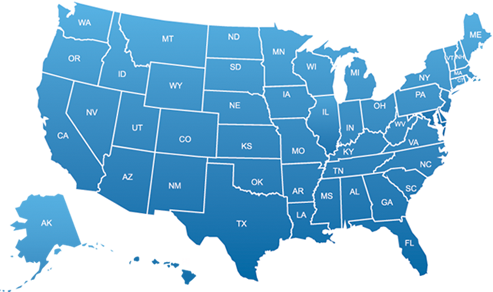 Contact an Oklahoma DUI Attorney from "America's Top DUI & DWI Defense Attorneys" Now! Oklahoma’s breath test refusal rate was 38.3 percent in 2001. Oklahoma has a three-tier system for impaired driving offenses. Driving under the influence (DUI), with a BAC of .06-.07 is often used to plea down DWI charges to some lesser charge such as reckless driving. Drivers with BACs < .06 are not charged unless they are under 21 or drugs other than alcohol are involved. Driving while intoxicated (DWI), with a BAC ≥.08 is called an "A" offenses. Finally, there is aggravated DWI, with a BAC ≥ .15. All DWI charges and first-time DWI charges are misdemeanors. A second-time DWI offense is a felony, permitting more severe penalties. Oklahoma has 77 district courts and almost 400 municipal courts. District courts and Oklahoma City, Tulsa, and Lawton municipal courts are courts of record; the other municipal courts are not. The two systems operate independently and do not share records. Non-record municipal courts hear only misdemeanors. This means that for all practical purposes, any impaired driving arrest heard in a non-record court is considered a first offense regardless of whether the driver has been arrested or convicted of previous impaired driving offenses. Some drivers have accumulated more than 10 DUI convictions in one or more non-record courts without being charged with a second offense in a court of record. The arresting officer decides where to file charges. Municipal courts keep driver records for three years, while district courts keep them indefinitely. Oklahoma has administrative per se with license suspension for BAC ≥.08. Offenders have the right to a hearing before a Department of Public Safety (DPS) attorney. The DPS attorney can dismiss the suspension or in some instances can modify the suspension to allow driving to work, school, alcohol treatment, or other purposes with the requirement that the driver use an interlock. Test refusal results in administrative license suspension, which can be appealed to a DPS attorney. Again, the suspension may be modified in some instances to allow driving to work or other purposes if the driver uses an interlock. Test refusal suspensions are in addition to any criminal penalties that may be applied. Tables 14 and 15 summarize the administrative and criminal penalties available in law for DWI and DUI. The administrative consequences of an impaired driving arrest are fairly uniform across the State and are essentially the same for drivers who refuse and drivers who fail (BAC ≥ .08) the test: 180 days suspension for the first offense, with work permits possible if the driver uses an interlock; 1 year for the second offense with no work permits; and 3 years for the third with an interlock work permit allowed after 1 year. Previously the suspension for first-offense test failure was 90 days compared to 180 days for refusal. Now, the results of failing a BAC test are the same as those for refusing to take the test. About 25 percent of the drivers whose licenses are suspended or revoked for refusing or failing the BAC test request an administrative hearing. The suspensions or revocations are upheld about 80 percent of the time a hearing is requested. Work permits are granted in about half of the hearings, which results in many drivers with suspended or revoked licenses receiving a work permit. Interlocks are required for most, but not all, drivers who receive work permits. Administrative hearings have become an opportunity for defense attorneys to gather information from the arresting officer that can be used to defend the driver in the criminal action. Hearings are only authorized to explore specified subjects relevant to the administrative action, such as establishing that the driver was in fact driving the car and that law enforcement had appropriate justification to stop the car. But many of the DPS attorneys who run the administrative hearings often allow questioning outside these areas. Criminal charges and penalties vary considerably depending on whether the case is heard in a municipal or district court or in a rural or urban area. In some rural areas, impaired drivers may routinely be charged only with reckless driving rather than DUI or DWI. First-offenses are almost always pled down. Test failures are often pled to reckless driving, which is not recorded as an alcohol-related offense so it does not count as a prior. However, the DWI arrest is recorded. Thus, if the driver is arrested again, a good arrest record search may lead to the discovery of the previous DWI arrest and allow a repeat offense charge to be placed. First-time offenders who refuse the test often have their cases pled to DUI or to reckless driving. Penalties typically involve a fine, perhaps with an alcohol assessment and possible additional requirements such as community service or victim impact panel sessions. Second and subsequent offenses also frequently are pled down in municipal courts. For example, in Tulsa City Court, refusals are pled to reckless and test failures are pled from DWI to DUI. In district courts, impaired driving is a low-level offense compared to other cases, so may be pled down or even dismissed. Some prosecutors are said to dismiss all test refusal cases. Impaired-driving cases rarely go to trial. Experienced law enforcement officers report testifying in impaired driving cases "twice in 32 years" or "never in 13 years." Officers testify in administrative hearings fairly frequently. After a driver has been placed under arrest, the arresting officer requests a breath test. Requesting the breath test usually happens in the field, in the arresting officer's patrol car, but the breath test is not given until the person reaches the police station or jail. While in their vehicles, officers read an implied consent card to a driver after the drivers have been placed under arrest. The card informs the driver that a test is required and describes the penalties for refusing and for failing the test. The officer chooses whether to request a breath or blood test. In practice, officers request a breath test unless the driver has been taken to a hospital or emergency room and a blood test is more convenient. A test can be obtained by force from drivers involved in crashes with a serious injury or fatality, but this appears to be applied very rarely. The driver has the right to request an independent test. The breath test is given in the police station or jail if the offender agreed to submit when asked at the scene of arrest. Most patrol officers are certified to operate the breath test equipment. If a driver refuses a test when first requested at the arrest scene, officers often will ask again at the station, and if the driver agrees at that point, the test is conducted. The test requires two separate breath test samples taken three minutes apart. If the driver gives the first sample but refuses the second, this is considered a refusal. Failure to cooperate with the test, for example by not providing a satisfactory breath sample, also is considered a refusal. Courts generally accept the officer’s word that the driver refused the test or was uncooperative during the test. If an injured driver is taken to an emergency room or hospital, a law enforcement officer will go to the facility. Unless the driver is to be released immediately, the officer usually requests a blood sample. Hospitals routinely provide the sample. A recent policy in Oklahoma jails requires a medical evaluation before admitting a person with a BAC over .25. This can be a substantial problem at night if medical personnel are not available. Even if they are, it adds another step and more time to the impaired driving arrest. To avoid it, some officers may not request a test if they suspect the driver is over .25. From the vantage point of the offender, the administrative penalties are essentially the same for drivers who refuse and drivers who fail the BAC test. This means that a rational decision on whether or not to take the test depends on how the test result or the refusal may affect criminal proceedings. Properly-licensed drivers over age 21 with a BAC less than .06 definitely benefit more by taking the test. With the BAC evidence to show that they are below the .06 limit, they will not be charged. If they refuse the test, their driver’s license almost certainly will be suspended. First-time offenders with a relatively "low" BAC that is above .06 may benefit more if they take the test. If their BAC is less than .08 their license will not be suspended administratively. They may get a better deal in court since they have been cooperative and have demonstrated that they are "not too drunk," while refusers may be seen as uncooperative and perhaps high-BAC. However, in jurisdictions where first offenders are routinely pled to reckless or to DWI, the results of taking or refusing the test may be about the same. When asked for their personal advice if they or a friend were arrested for impaired driving, the law enforcement officers, prosecutors, and judges interviewed were virtually unanimous in advising anyone whose BAC might exceed .08 to refuse the test. Defense attorney advice was mixed. Some, probably the majority, would advise everyone to refuse, for the reasons noted above. Others would advise taking the test because the process of requesting and administering the test provides many opportunities to attack the prosecution: the "attack the breath test machine" strategy. Drivers who are confused, uncooperative, or too impaired to function properly. BAC test results help in charging drivers properly, in obtaining convictions, and identifying problem drinkers who should be assigned to treatment. In particular, BAC test results are essential to charging a driver with aggravated DUI. However, BAC test results do not appear to be critical to Oklahoma’s impaired-driver control system. They appear to influence plea bargains and court verdicts somewhat, but not substantially. 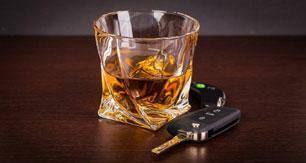 Many prosecutors and judges dislike the aggravated DUI statute and will not apply it. The general feeling is that a higher testing rate would not change Oklahoma’s DUI prosecution, adjudication, or sentencing much. Unlicensed driving -- drivers with a suspended or revoked license, or illegal aliens who have never been licensed -- is seen as a substantially greater problem than BAC test refusals. Law enforcement, prosecutors, judges, and defense attorneys alike had two main recommendations. Reduce the amount of time required to process a DUI arrest. One officer noted that "DUI is the most labor-intensive misdemeanor, all the way from the arrest to the court." The new Intoxilyzer machines being introduced statewide may reduce processing time somewhat as they will check for errors and print affidavits. One specific obstacle to BAC tests for high-BAC drivers is the requirement for a medical evaluation before admitting a person with a BAC over .25 to jail. Law enforcement officers need to know where to go for this evaluation at any time of the day or night. Change Oklahoma’s laws so that the penalties for refusing the test are again greater than the penalties for taking and failing the test. Most people interviewed pointed out that test failure penalties are now "the same" as test refusal penalties -- 180 days’ suspension for a first offense -- while previously the penalties for failure were less -- 90 days’ suspension. The standard comment was "There’s now no incentive to take the test." Everyone’s first recommendation to reduce refusals was to change the law so that refusal penalties are again more severe than failure penalties. If law changes are considered, they should be examined very carefully to avoid unintended consequences. Many people interviewed felt that the current one-year hard suspension or revocation (no work permits allowed) for second-felony offenders was unreasonably harsh: it prevents offenders from driving to work and consequently encourages driving with a suspended license.